I did grow up with wine. We did never produce wine but my mother gave lots of dinner parties and so I already knew as a child with 4 years that Chablis and Châteauneuf-du-Pape are very excellent wines. Mum did serve these wines only to hand-picked guests. The “normal” guests got Grüner Veltliner from Weinviertel. When I was studying in Kleßheim I had my first intense contact during my internship in summer 1991 at Hotel Schloß Fuschl. 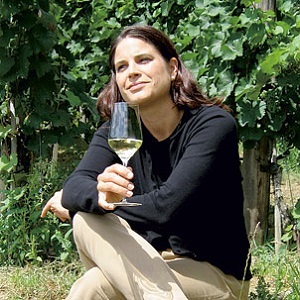 In 1996 I changed from the hotel and restaurant business into the wine business and my two mentors were Reinhold Forobosko and Franz Schafelner. As a Sommelier, you must have lots of sixth senses! A Sommelier should understand the guests wishes without teaching the guests the right wine language. Sommeliers should have a lot of feeling for wine and food pairings. A Sommelier is part of the hosts family and he should know all rules of being a host. Further Sommeliers should always be curious for new wines, wineries, wine styles, unpopular wine regions and everything what’s going on next to the wine business. I know one Sommelier who has all these skills and lots more skills and this is the Master Sommelier Alexander Kolbinger. Sommelier(e) where to look finding an adequate position at home or abroad? Learn, taste, learn, taste, learn, taste for your whole life! A young Sommelier should choose a place where he can learn and grow in a Sommelier team. I would recommend to start in the country where you are from, collect lots of practice and experience and then go to foreign countries. When you select a new place for work, always be inform in advance about the wine menu and the style of the kitchen. Start small and humble to grow with the time to true size! Guard in humility! The most common mistake is impatient and thinking you can learn and understand the wine quicker as other colleges who are working in the wine business for many years. The wine knowledge is like a journey, you learn and understand the wine world step by step never in the fast lane. The best approach is to ask the customer what he prefer and which wines are satisfying him. Conduct always a targeted personal conversation with the customer. Ask for his preferences, ask for his best wine experiences, ask for his favourite wine and ask which food selection your guest will choose. During a tasting I prefer to taste all the wine in the same glass type. This can be a Gabriel glass or a Riedel Chardonnay glass. In the restaurant, I expect the perfect glass to each wine. That does not mean that the restaurant must have lots of different glasses but they have to have the right selection of glasses. For example, sparkling wines are served mostly in the wrong glasses. You always must know all elements and peculiarities about the wine and the food. You should have the gift of being able to imagine the taste of the food. And in the best cases you should have tasted the pairing before. I recommend to ask the guest if he wants a tasting by the Sommelier. The Communication with the guests is the key to success and to extremely satisfied customers. As a young Sommelier, you have to search everywhere: Internet, Magazines, ask other Sommeliers. For me personally is the most important thing to know everything about the new restaurant where the Sommelier wants to work. The wine list has to join always the menu, has to fit to the guests and should be open for unknown wineries and not so popular wine regions. The wine mix (Style, price, regions, winery) is the key for the success. Ridiculous pricings are the death for the wine list. Every consumer can check the market price of the wines in the internet. The calculation has to be fair, comprehensible and comprehensible. Nowadays the wine world is changing very quickly. I am reading a lot like wine magazines and newsletters, I exchange news with colleagues, I travel a lot and ask always the local people for news and recommendations. I was never fixed on a variety, I always prefer a wine style! A wine has to tell me a story. The story is the wine region, the soil, the weather, the variety, the winemaker, the wine making and the authentic, not interchangeable, specific taste of the wine. I always was and still I’m bored with one-dimensional, uniform wines. I am Austrian, so I have a very fine selection of Austrian wines in my cellar. I am satisfied from French wines, so you will find also lots of these in my cellar. The rest is a wonderful mix of wines all over the world. I have not specified dessert wine region. It is always the taste of the wine. A dessert wine must be well balanced and must fit to my food pairings. This selection depends on where one lives and which information the person needs. I recommend to subscribe to every newsletter from the most important wine-growing regions and to subscribe one or two national and international wines magazines. With all these information, a Sommelier has enough to read to be up to date.